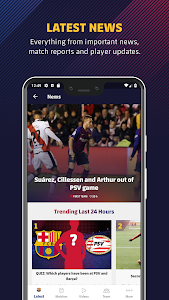 ● Thanks to push notifications you’ll be the first to get all the latest news about Messi, know the Barcelona lineup for the next game and never miss out on breaking news again. 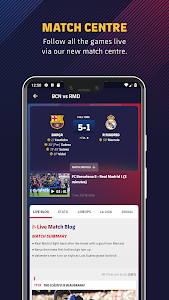 ● Check out all the results from La Liga, Champions League, Copa Del Rey and all the competitions that FC Barcelona plays in. Consult the archive of results with photo galleries, news, stats, lineups and details from every game and every competition. 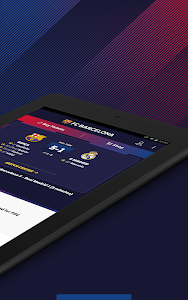 ● Be sure to never miss a football match again with the FC Barcelona calendar. Check dates and kick-off time for the next La Liga Santander, Copa del Rey and Champions League fixtures. 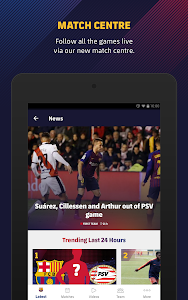 Activate push notifications and receive an alert 30 minutes before the start of the match. ● Follow the game between FC Barcelona and Manchester United in the quarter finals of the UEFA Champions League. 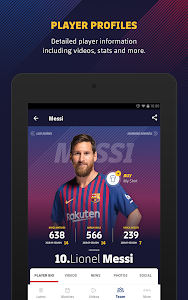 Thanks to the App, you will be sure to have all the latest information and statistics on the biggest club competition in the world! ● Over the coming weeks, be sure not to miss big football matches like the one against Atletico de Madrid. Also do not miss the Copa del Rey final against Valencia! ● Follow the action wherever you are with live blog commentary and reports. 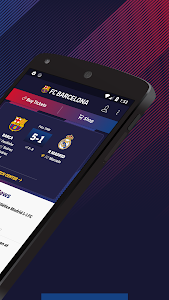 Activate the notifications and receive an alert every time your team scores or Ernesto Valverde makes a substitution. 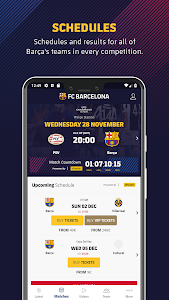 ● Buy FC Barcelona tickets directly through the App and make sure to be there to support FCB at the Camp Nou. 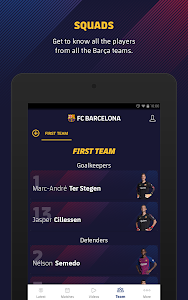 ● Receive all the information about the FC Barcelona squad. 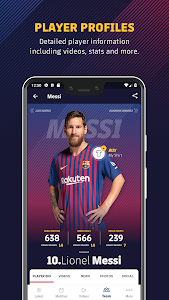 Discover biography, stats, facts and much more about Messi, Piqué, Coutinho, Luis Suarez and all of your favourite football players. 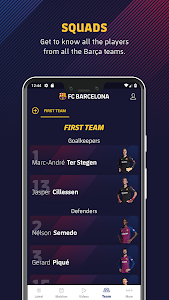 ● Learn more about the team and the players with the social media section, updated with the official feeds of FC Barcelona, Messi and more. 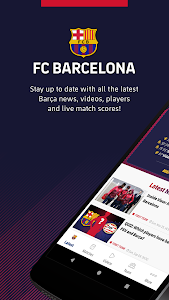 ● FC Barcelona is not only football and the first team: in the App you will find news and content about Barça B, women’s football, basketball, futsal, handball teams and all the other Blaugrana sections. 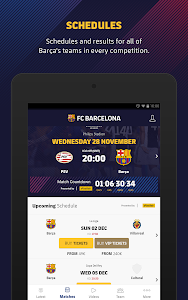 Consult the calendar and results, get all the information on the players and get tickets to the next matches. 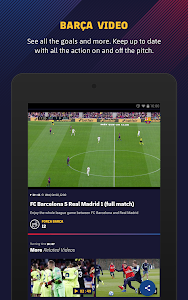 ● Check all the exclusive content on the Barça Video section. 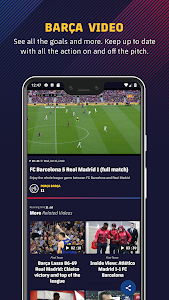 Watch Messi’s best goals again, catch up on the action with game highlights, relive historic moments with an archive of full matches, watch all the video interviews with Ernesto Valverde and the players. ● Take part in the contest and choose the best goal in the history of FCB. Pick one of the two selections presented to you every day and vote your favourite goal into the final. Choose among the best goals from Messi, Kluivert, Ronaldinho, Cruyff, Stoichkov and others! 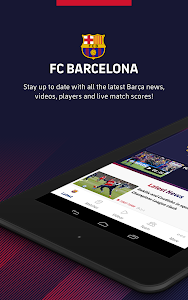 We have improved and corrected contents update problems to offer you the latest Barça updates! 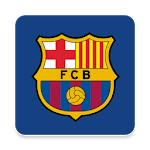 Similar to "FC Barcelona Official App"